TruckGuru- The Best Destination To Avail Advanced Transportation Services In Mumbai! TruckGuru is a group, specialized in logistics and transportation of goods and cargos, providing their customers with unparalleled relocation solutions to expand their reach to every corner of the country. Being the foremost transporter in Mumbai, we combine our strategic approach and deep understanding of the customer’s requirement to deliver a one-stop solution to fulfill their varying transportation needs. We are the best trucking company in Mumbai and always employ innovative and advanced ideas to address the challenges that our customers face during their relocation. We are not focused only on inland transportation but on varied sectors like warehousing, port handling, in-plant logistics, and sea freight forwarding. 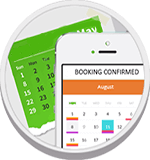 TruckGuru is recognized as the most professional company for truck booking online in Mumbai. We work closely with our customers to understand critical needs regarding their projects. We are offering turnkey solutions right from receiving the shipment to unloading, storage, packaging and reloading in the trucks in the most popular industrial areas such as Mulund, Bhandup, Wagle Industrial Estate, Goregaon East, Ghatkopar West, Jogeshwari East, Andheri East, Lower Parel in Mumbai. Our dedicated cargo team ensures the completion of the project within the assigned time in the Mumbai Port and the Jawaharlal Nehru Or Nava Sheva Port. We help our clients to load & unload the, packing and unpacking the cargo at the Chhatrapati Shivaji Maharaj International Airport in Mumbai. We are providing seamless cargo movement throughout our global network, helping international consignments to clear customs and seclusion as efficiently as possible. 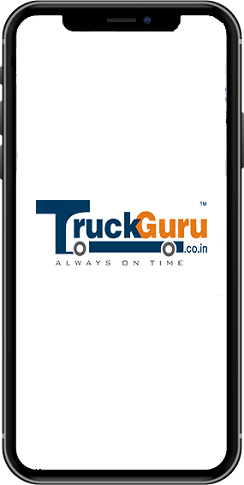 TruckGuru is a 360-degree service provider in the logistics industry. We offer fast, secure, on-time and affordable logistics services in Mumbai to individuals as well as to companies. We are serving the transport industry for many years.